In the backgroud: Bohdan and Krystyna. Bohdan Pawłowicz h. Przyjaciel was born in Warsaw, Poland on February 2nd, 1899 and died in the US on May 28th, 1967. His father, Kazimierz Pawłowicz, was a ceramic engineer in the brick-making and construction business, who made his fortune building/managing brick factories in Russia and Japan and later developing housing estates in Poland. His mother, Helena Jełowicka h. Brama, came from generations of Polish landed gentry. He had an older sister, Krystyna. Although as a military man Bohdan (Danek) Pawłowicz took part in 3 wars, and was involved in many different activities throughout his life, he was essentially a Polonia (Polish Diaspora) activist and a man of letters. His writings, the inspiration and time for which he found both in his countless trips around the world and his war experience, include a number of poems, travel writings and journals, short stories, novels, memoirs, radio broadcasts, public speeches and newspaper articles. Most of his works and radio programs were published and produced in Poland before WWII but many others were printed or broadcast abroad, in Polish newspapers and radio programs in France, the UK, Brazil and the USA, where he lived in exile after leaving Poland in 1939. However, many manuscripts still remain unpublished. After his death they were donated by the family to the Piasa and Pilsudski archives in New York, USA. His diaries and memos, which remain with the family, were called Silva Rerum or Pele Mele. Along the years, they were used to record his daily routine, impressions and anecdotes. From 1901 to 1902, his parents moved to Dąbrowa Górnicza and in 1902 to Korwinów, where his father was appointed director of the “Korwinów” brick factory near Częstochowa. Pawłowicz describes some of the memories of these times in the article “Wspomnienia Z dzieciństwa” [Memories of Childhood], published in the London-based newspaper Kronika in 1966. 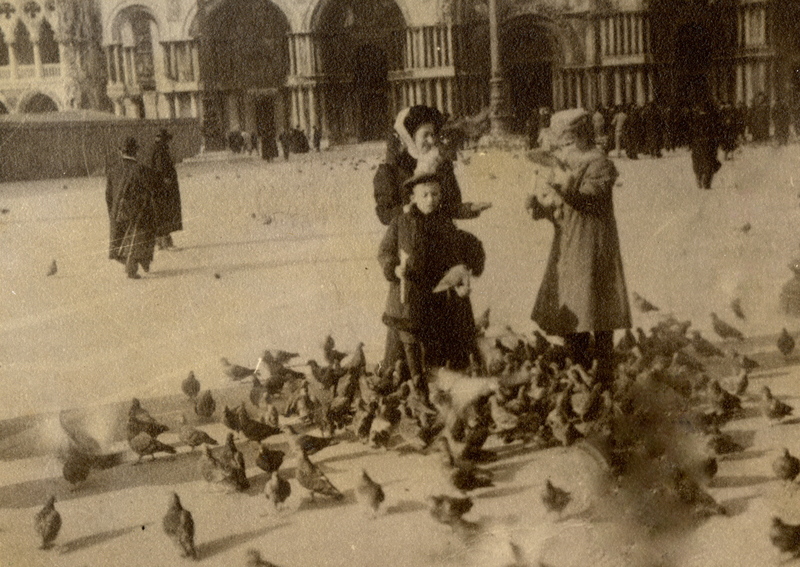 In 1908, the family moved back to Warsaw, where his father opened his own technical consulting office. 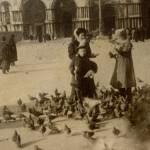 From 1909 to 1911, Pawłowicz attended the Szkoła Realna im.St.Staszyca (founded in 1906) and every year, from 1906 to 1910, he traveled extensively with his parents to Italy, France and Germany. In 1909 he made a year-long round-trip to Japan through Russia. As a child he suffered from tuberculosis of the bones and joints so in 1911 he was sent for heliotherapy to Les Frênes, the Institute of Heliotherapy of Dr Auguste Rollier, in Leysin in the Canton de Vaud, Switzerland, where he also attended school. In 1912 he underwent an operation on one of his legs, but he never totally recovered. He returned to Poland in 1913, first to Zakopane, where in June, he became a member of the recently formed independent scouting center in Zakopane under Scoutmaster Andrzej Juliusz Małkowski and in September of the same year, he joined the Warsaw group. 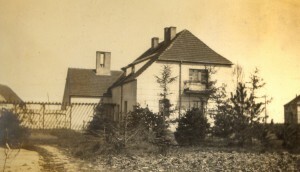 In Warsaw, his parents moved to their own house in Kanonia 14. From 1913 to 1918, he attended the Gimnazium Filologiczne im. Ziemi Mazowieckiej, from where he received his secondary school certificate (Matura). At this time, he also became a member of the National Youth Organization [Organizacjia Młodzieży Narodowej – OMN], which brought together students from secondary school and higher education. In January 1915, through the scouting movement, Pawłowicz joined the Polish Military Organization and was given military training at the Szkoła Podoficerska Polskiej Organizacji Wojskowej (POW) under the pseudonym Danek and/or Bohdan Czapski. In 1916, he became the sergeant in charge of team 21 of the Warszawska Drużyna Harcerzy im. gen Ignacego Prądzyńskiego, one of the oldest scout groups in Warsaw. On February 6th 1918, he was imprisoned and kept under arrest by the German army. He was released in April thanks to the intervention of bishop Jelowicki. He was then assigned to the Chief of Staff Branch [Sztab Naczelnego Wodza]. After two months, at his own request, he moved to the ZHP Scout battalion. In 1919, on finishing the School of Infantry [Szkoła Podchorążych Piechoty] in Warsaw, he was promoted to lieutenant. From 1919 to 1920, he became an instructor at the Artillery Cadet School [Szkoła Podchorąży Artylerii] and he fought in the campaigns of 1920-21 during the Polish-Soviet War, as an officer in the 18th Heavy Artillery Division. He was wounded in the leg, and in October 1921, he was moved to the reserve. There he became responsible for Polish emigration issues. In January 1921, he toured Yugoslavia and Bulgaria and in 1922, still on account of his leg problems, he traveled with his mother to the Piešťany spa in Slovakia, and then to Bratislava. 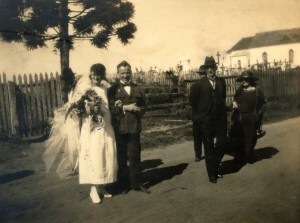 Bohdan and Wanda’s wedding in Curitiba, Brazil. From 1922 to 1924, he attended the Maritime Academy in Tczew, the cradle of the Polish Merchant Navy, from where he got his Third Mate License. On May 25th 1923, as a student of the Naval School and a delegate of the Polish Scout Headquarters [Główna Kwatera Związek Harcerstwa Polskiego], he sailed to Brazil on the Lwów, the first training ship under Polish banner to cross the Equator. From October 1923 to March 1924, he lived in Curitiba in the State of Paraná, where among other activities, he directed a Scout instruction course for Polish teachers. On arriving in Curitiba he met and fell in love (at first sight) with Wanda Orla-Salmonowicz h. Orla. They got married in the Santa Cândida church in Bacachery, a Polish colony near Curitiba, on 19th January 1924. In March he returned to Poland alone on the S.S. Flandria. In May his wife joined him in his family home (14 Kanonia) in Warsaw and in September 1924, he entered the Warsaw School of Fine Arts, where he studied until 1928, under Tadeusz Pruszkowski and did a course of artistic photography with Professor Stefan Plater. In June 1925, his son Leszek Kazimierz (1925-2008) was born. 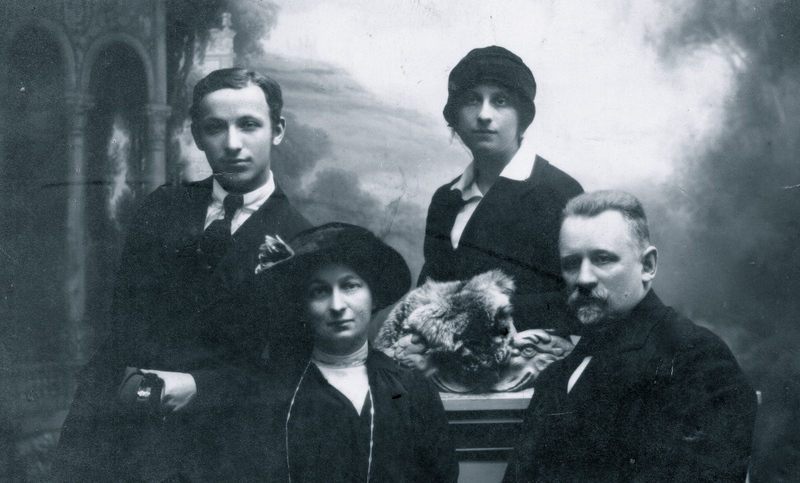 In July 1925, the whole family moved to Czerniaków Garden City, a housing estate his father helped plan and build. Their villa, on Gorazsewska 8, was the only one in Sadyba completely destroyed by the Germans during WWII. In its place there is now a public square. His father, Kazimierz, died in June 1927 of complications resulting from an appendicitis , and in November 1928, his daughter Hanna Antonina was born. During the interwar period of the Second Polish Republic (late twenties and thirties), Bohdan worked for the Maritime and Colonial League (LMiK), where he dealt mostly with Polish foreign affairs. He later joined the Polish Society of Immigration [Polskie Towarzystwo Emigracyjne (PTE)] ,a social organization whose aim was to help Polish emigrants to maintain links with their fatherland. He also worked for the Emigration and Colonial Science Institute [Naukowy Instytut Emigracyjny i Kolonialny (INEiK)]. In all these three institutions, he was among the primary authorities: he was the secretary on the LMiK board, the deputy secretary at INEiK and the secretary general at PTE. He was among the co-founders of the Colonial Pioneers Association [Związek Pionierów Kolonialnych]. From September 1929 to January 1934, he became Chief Ship Inspector of the Polish Emigration Office (subordinate to the Ministry of Labour and Welfare). In this capacity, he made 34 trips inspecting ships from European ports to the US, Canada and South American countries, chiefly to Brazil. Bohdan made his debut as a writer in 1921 with printed work published in the weekly Zolnierz Polski [Polish Soldier]. In 1923, he published through Gebethner & Wolff, Warsaw, a 139-page book of poems: Szary człowiek. Tydzień dusz, tydzień ludzi, tydzień szarego człowieka [The gray man. The week of souls, the week of people, the week of the gray man], much of which is composed of patriotic songs and poems tinged by his war experience. His first 181-page memoir and travelogue, Pod Polską Banderą. Wrażenie z podróży na żaglowcu przez Atlantyk [Under the Polish Ensign – Impressions from the trip on a sailing ship across the Atlantic], was published in 1924 by the Kultura Association in Curitiba, Brazil. 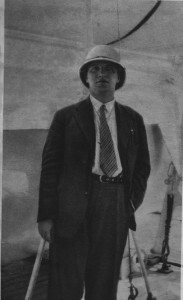 When he returned from the trip on the Lwów, he published more articles and accounts in many magazines, among which Siew (Sowing), where he started a series called “Za Oceanem. Wrażeń i wspomnień wiązanka z Brazylji“ [Beyond the Ocean – A Collection of Memories and Impressions from Brazil] (1925). In 1926 he wrote a collection of short stories which came out in the 256-page book Artillery Attack published by the Military Library Inc.
From 1925 to 1929, he regularly contributed to the newspapers Glos Prawdy [Voice of Truth] and Przedświt [Dawn], a PPS publication in London. In 1929, he wrote a volume of poems, Morze (The Sea), published by Pionier Inc, Warsaw. In 1931, he became the editor of the Wychodźcy [Emigrants] magazine. He also wrote many plays, radio scripts and a number of documentaries and until 1938, narrative and adventure novels on nautical and exotic themes, many of which were aimed at young people, in whom he tried to instill his love for the sea and distant landscapes. Franek na szerokim świecie: przygody na morzu i lądzie [Frank in the Wide World – adventures on land and sea]. It was originally published by Płomyk [Flame] in 1924 and later in 5 independent publications (1928, 1935, 1938, 1939, Monachium 1946). As from 1939 to 1985 by the the National Agency for Publishing, Gdánsk. ISBN: 83-03-00776-9.
a 379-page novel on Polish emigrants to Brazil, Pionierzy [Pioneers], published by “Dom Książki Polskiej, Warsaw in 1931. Córka latarnika: opowieści egzotyczne [The Lighthouse keeper’s daughter: exotic tales] a book of short stories (166 pages), published in 1930 by Pionier Inc, Warsaw. Załoga: ostatnia podróż parowca “Barbara” [Crew: The Last Journey of the Steamer “Barbara”], a 216-page novel published by Publishing Institute “Bibljoteka Polska” in Warsaw – Bydgoszcz in 1935. W słońcu dalekiego Południa. Szkice z podróży [Under the Sun of the Far South: Travel Sketches], a 198-page book of short stories published published by Publishing Institute “Bibljoteka Polska” in Warsaw – Bydgoszcz in 1937.
a 375-page novel Wojciech Mierzwa w Paranie [Wojciech Mierzwa in Parana] published in 1938 by Książnica-Atlas in Lwów. a 364-page novel Wyspa Św.Katarzyny [The Island of Saint Catherine], published in 1939 by Książnica-Atlas in Lwów. In 1939, the 283-page collection of maritime novels and stories Storm in La Manche to be published by the Publishing Institute “Bibljoteka Polska” in Warsaw – Bydgoszcz was reported missing while still in manuscript form. He received the Warsaw Literature Award for the Pionierzy [Pioneers] novel. In the 1930’s, Bohdan started in the Polish Radio (PR), addressing mostly seafaring and South American themes. Thanks to his narrative talent and the interesting information presented, especially in the series “Przez lądy i morza” [By land and by sea], he became one of the most popular radio broadcasters in those years. In September 1934, he became the manager of the News Department of the Polish Radio in Warsaw. From 1st June to 31st July 1935, he served as Director of Broadcasting in the Polish Radio in Lwów, and on 1st September of the same year, he was appointed to the same post in Łódź. From 1935-1937, he led a regular program called “Rozmowy z Radiosłuchaczami” [Conversations with the Radio Listeners]. After three years, he became the director of The Northern Stations of Great Pomerania [Rozgłośnia Wielkiego Pomorza] in Toruń, where he gathered specialists and prominent lovers of naval themes. In 1939, Bohdan was invited to travel to South America on the Polish cruise ship Chrobry, which set off on her maiden voyage from Gdynia to Buenos Aires on 29th July. Among the personalities on board were senator Rembielinski, minister Mazurkiewicz and the young Polish writers Czeslaw Straszewicz and Witold Gombrowicz, who had been invited to divulge and publicize the trip. The passengers learnt about the outbreak of World War II (September 1st 1939) while they were on their return voyage. The vessel, which had left Rio de Janeiro, Brazil, docked in Recife on September 2nd to disembark all her passengers as she was summoned to serve the British Royal Navy to transport troops. Bohdan intended to return to Poland, however, the French freighter Fort de Troyon, on which he sailed from Recife, landed in Marseilles after a five-week trip. Poland had already been defeated and occupied. This trip was later described in the memoir “Trzy spotkania” [Three encounters] published in number 38, 1941 in the weekly Polska Walcząca -Żołnierz Polski na Obczyźnie [Fighting Poland’. The Polish Soldier Abroad]. Bohdan traveled then to Paris, where he joined the Polish Government in Exile, which was at the time based in Paris, France. On November 1st 1939, he became the Head of the Radio Department of the Ministry of Military Affairs. On 5th of the same month, he started a daily broadcast program on the French radio called “Rola Wychodźstwa Polskiego” [The Role of Polish Emigration]. He also led a regular column “Wojna na morzu” [War on the Ocean], issued in France in Polska Walcząca [Fighting Poland], and in 1940, he published a sea reportage “Przez ocean do Polski Walczącej”. After the collapse of France, Bohdan arrived in the UK in June 1940 (Operation Ariel) and was directed to the Polish Forces in Scotland. 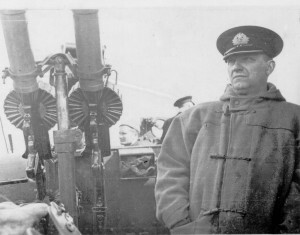 As from 1941, he was at the service of the Chief of the Navy Directorate [Kierownictwo Marynarki Wojennej (KMW)] and in March, he was nominated Head of the KMW Press. He continued writing his column “Wojna na morzu” [War on the Ocean] in the then London weekly publication Polska Walcząca [Fighting Poland]. He also published, among other works, the reports (still written in France) of Lieutenant Andrzej Piasecki in “O.R.P Orzeł – jego epopeja” (Bellona, London, 1941, nr 6) and he wrote the commentaries of the Polish version of the film Podnosimy Kotwicę [Poles Weigh Anchor]. From February 1st 1942, he was transferred as reserve lieutenant to the Naval Officers Group in the Administration Corps. As a war correspondent, Bohdan participated in the May 1942 trip of the ORP Garland, during which the Polish destroyer escorted convoy PQ-16 from Iceland to Murmansk and engaged in the famous battle which resulted in toppling 27 Luftwaffe V’s. This experience was described in a series of reports “W eskorcie konwoju” [Escorting a Convoy], published in London in Polska Walcząca (1942, nr 34,36,37,39,42,44,48 and 51). These reports were later published in English in the book O.R.P. Garland in Convoy to Russia (Mitcham 1943). In Polska Walcząca, it was also disseminated, among other articles, “Pińsk – Pieczora – Wielka Brytania” (1942 nr 7), “Dzik – nowy okręt podwodny” (1942 nr 50). On November 1942, he was transferred and made available to the Head of the II Branch of the General Staff. From August 1943 to the end of the war, he was appointed Chief of Intelligence in Brazil, officially as assistant to the military naval attaché at the Polish Legation in Rio de Janeiro. On July 1st 1945, he was again made available to the Head of the Navy [Kierownictwa Marynarki Wojennej (KMW)] and in the following year, he was promoted to captain in the Navy Reserve. In September 1945, he became the editor-in-chief of the bulletin Fakty [Facts], which appeared in Rio de Janeiro until September 1947. After being released from service on February 1st 1947, Bohdan decided to stay in Brazil in exile and tried to organize an import of coal and coke from Belgium. However, as a result of his Brazilian partner’s misconduct, the company went bankrupt and ruined Bohdan. He created a new company with a Pole but again, the project failed, just like the third attempt, undertaken in Buenos Aires. After his 10 year stay in South America, he and his wife, Wanda, left Brazil for good to live in the United States, where they later acquired US citizenship. When they arrived, they lived in a minuscule apartment in Forest Hills, New York and struggled to make ends meet. He had temporary part-time jobs, wrote to magazines and did some broadcasting. However, the main source of income of the family came from his wife’s job, who worked in a sewing room. In January of 1956, to commemorate a flag raising ceremony on “Wolna Polska”, the Association of former Polish Seaman issued a bulletin called “Ster”, where an article of his, “Wczoraj i dzis” [Yesterday and Today] was published. The couple moved to Buffalo on August 22nd 1956, where Bohdan was appointed Lublin Lecturer in Polish history and literature at Canisius College for the 1956-1957 academic year. He also broadcast in Polish and wrote for the Polish press. It was at this time that he prepared an extended version of the O.R.P. Garland called Krew Na Oceanie: Kartki Z Pamiętnika W Konwoju Do Rosji (Blood on the Ocean: Postcards From The Diary on the Convoy to Russia) (New York 1955). Much of the effort (and money) at this time was put into having the book printed. 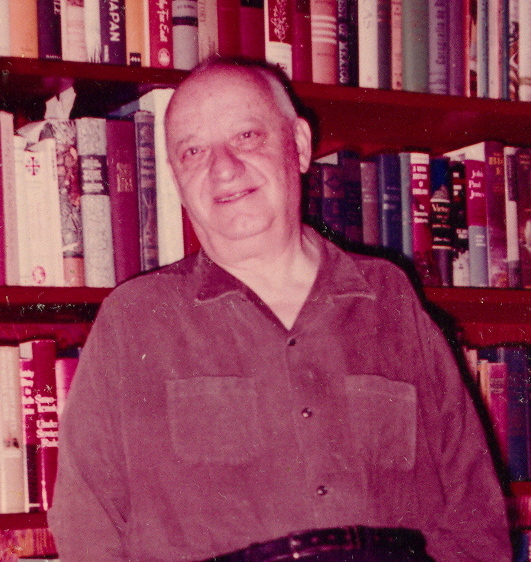 As from 1957, he led a special weekly column in the Chicago published magazine Ameryka Echo. On June 9th 1957 he was granted the degree of Doctor Honoris Causa of Humane Letters from Le Moyne College in Syracuse. In 1961 the couple moved to Silver Springs, Maryland, where he started writing the novel Kurki Wodne znad Guaiba [Moorhens from Guaiba] , a seven-hundred-page novel based on real events (unpublished and in manuscript form). He also wrote memoirs, fragments of which were printed in the London-based newspaper Kronika: “Wspomnienia Z dzieciństwa” [Memories of Childhood] 1966, No. 51/2; “Koniec dzieciństwa i młodość zbrojna” [The End of Childhood and Armed Youth] 1967 No. 12/13. At the same time, thanks to their fluency in foreign languages, both he and his wife worked in a research office in Washington, D.C. , gathering documentation and information on and for writers. 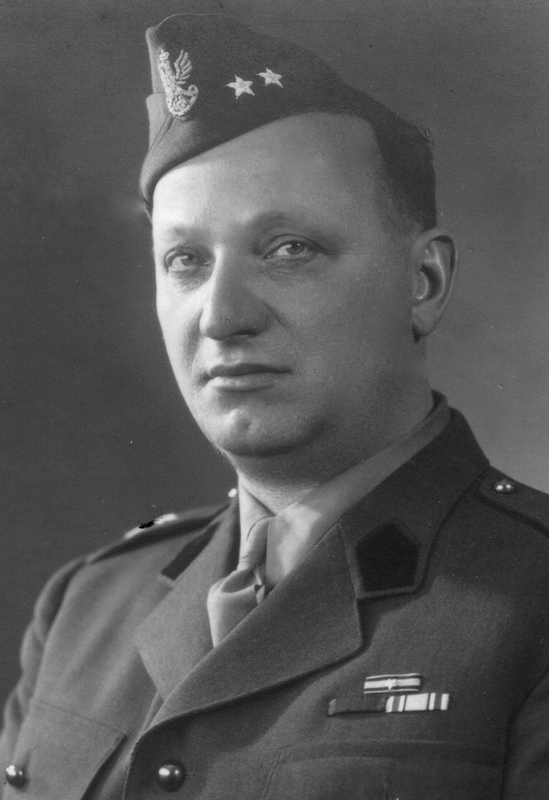 While in exile, Bohdan was the delegate in Brazil for the Board of the Polish Combatants Association (SPK) from 1946 to 1953, a Board member of the Navy Mutual Aid Branch in New York (1953-1956), the vice-president of the SPK circle in Buffalo and honorary member of the Merchant Navy Officers Association. in Brazil, the Ordem Barão do Rio Branco in 1945. He died on May 28th 1967, from acute embolism, while he was in the car on his way back home from a conference in New York. He was buried in the All Souls cemetery in Pleasantville, New York. Czajewski, Jacek. 2010. Morze i Zagle w Poezji Polskiej – Antologia. Vol. 37. Ksiegi Floty Ojczystej. Gdynia: Oficyna Wydawn. Miniatura. Gasparini, Pablo. 2007. El exilio procaz: Gombrowicz por la Argentina. Colección Ensayos Críticos. Rosario, Argentina: Beatriz Viterbo Editora. Jaroszyńska-Kirchmann, A. D. (Ed.). (2013). Letters from Readers in the Polish American Press, 1902-1969: A Corner for Everybody . (T. L. Zawistowski, Trans.). pages 106, 322,323 Lanham: Lexington Books. Mierzwiński, Zbigniew. 1991. Asy, damy i ułani. Warsaw: Instytut Wydawniczy Związków Zawodowych. “New Profs Join Staff.” 1956. The Griffin, September 21. http://canisiusarchives.cdmhost.com/cdm/ref/collection/p124801coll0/id/3842. Pertek, Jerzy. 1980. “Pawlowicz Bohdan.” In Polski słownik biograficzny. Vol. T. 25. Krákow: Polska Akademia Nauk. Pertek, Jerzy. 1976. Wielkie dni małej floty Poznań: Wydawn. Poznańskie. Szewera, Tadeusz. 1983. Barwny świat mikrofonu: wspomnienia radiowców Łódź: Wydawnictwo Łódzkie.